Do you have an effective approach for thinking about your career growth? 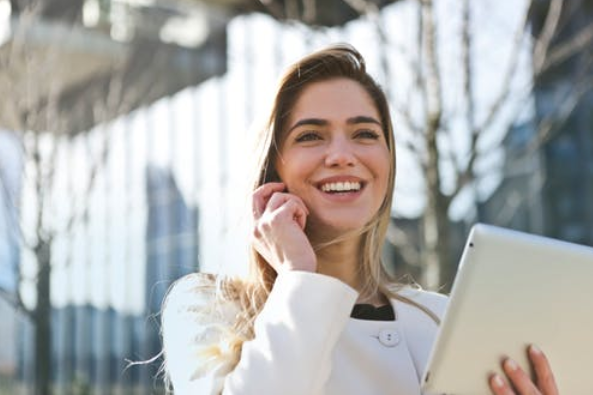 With things like a “jobless economic recovery,” careers ending, and a “skills-for-hire” economy, it’s even more important to focus on growth while managing your career. At the end of the day, you play the most important role in your career growth – own it. This past year reminded me of a very valuable lessons – follow the growth. This means follow your own growth and growth in the marketplace. When there’s no growth, make some. Career Development – Become a stronger leader. Professional Development – Become a better craftsmen. Personal Development – Become a more capable person. Rather than question self-worth or value, you put the focus on improving your effectiveness and capabilities. As you can see from the table, the key to career growth is awareness of the business, the key to professional growth is awareness of organizational trends, and the key to personal growth is self-awareness. Steve also shared a sample way to think about contributing factors to overall job satisfaction. 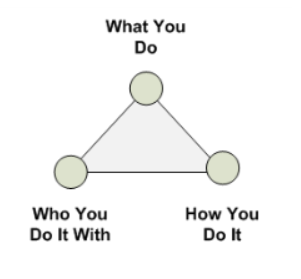 What You Do – The industry, the company, the organization, the manager, and the job. Who You Do It With – Co-workers, partners, customers, and mentors. How You Do It – Technology, process, philosophy, organization culture. Who has the power to improve the situation? How can you influence your job satisfaction? Knowledge – what you know. Attitude – your attitudes, along with your underlying values and beliefs. Habits – what you actually do. The KASH box is a performance coaching tool and it’s a simple way to look at the gap between knowing and doing and the “transfer of training” problem. In other words, it’s easy to focus on knowledge and skills but often it is people’s attitudes and habits that limit them. Interestingly, if you know what to do, but you’re not doing what you know, it’s one of the simplest and most effective ways to unleash your growth. Just start testing your results. There’s a video on the KASH box at Kashbox Coaching.com. The right mentors can help you avoid the chutes and climb the ladders more effectively. Know what you want and what you want from the relationship. Be proactive – you need to drive the meetings and ask the right questions. Keep an open mind regarding who this person might be. Think about people who have been your mentors in the past. You can have more than one mentor. This reflects a lot of my own experience. One of my most important lessons learned is that mentors really are the short-cuts. If you find somebody who’s “been there” and “done that,” it’s like having a tour guide. Their maps from experience can save you a lot of wasted time and help you avoid obstacles, as well as find shorter paths to your destinations. A mentor can also be great for helping you find your blind spots as well as giving your more objective feedback on your attitudes and habits that might be limiting you. This means finding mentors that are committed to your success and you trust their feedback and perspective. Usually a good place to look is in your past. You can draw from people that have helped you before. I make it a habit to use a sounding board of multiple mentors for growth in different areas. I have a few vital mentors for ongoing growth, and then I supplement with mentors for specific things I need to learn. I also give back and I mentor others to help them optimize their growth and get results. A lot of times, life is like Chutes and Ladders. You can climb up ladders only to slide back down. Who’s Job Do You Want? Is there a proven path? What experiences and skills do you need to get there? The other beauty of this is it gives your managers and support network a good mental model for your career path, starting with the end in mind. Every day, is the perfect day, to become more of the person, professional, manager or executive you want to be. Enjoy the process and remind yourself it’s the journey and the destination, and remember to periodically check that the ladder you’re climbing is up against the right wall.